As we clearly know that 2019 is the year of foldable phones. We have seen two foldable phones already showcases at MWC. Samsung took lead in bringing the foldable phone. Samsung has also previously revealed that it will launch the Galaxy Fold on April 26th in the US. However now, the company officially confirmed the Galaxy Fold Global Release Date which is May 3rd. This Galaxy Fold Global release date is for Europe. It will be available in 15 countries across Europe. We may also hope that it will soon be available in other markets as well. Samsung Galaxy Fold is equipped with 7.3-inch infinity flex display, due to this large size the phone looks like a tablet that can be folded to make it compact. The main display is QXGA+ resolution (4.2:3). 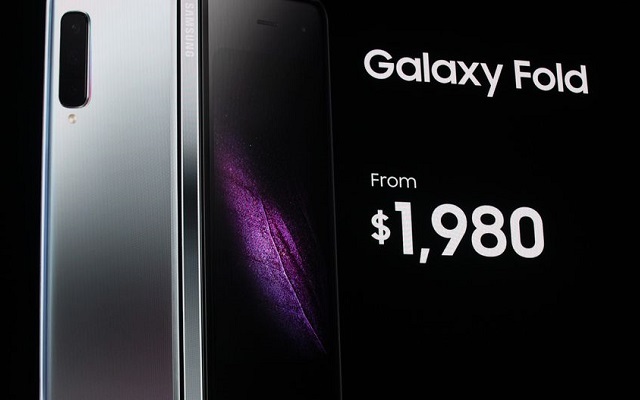 When it’s folded, a smaller 4.6-inch HD+ (12:9) display is used for the phone mode. Galaxy Fold has 512 GB of universal flash storage 3.0 offering fast speed and a Qualcomm 7nm octa-core processor along with 12GB of RAM. The hinge separating between two screens and helping the tablet to be converted in phone mode has various interlocking gears, but these gears are not visible. Galaxy Fold is equipped with 16-megapixel ultra-wide camera and 10-megapixel cover camera for selfies. The device will be available in four colours. The people using the Galaxy Fold will be able to run three apps at one time. Samsung is not the only tech giant who has launched a foldable device. Other tech giants like Xiaomi, LG, Huawei, and Lenovo are also working on foldable devices but Samsung is the pioneer and will definitely make it available to more people in less time.